Your Definitive Guide to a Fitness and Fat Loss Transformation in Cary and Crystal Lake. So, you’re from Cary and Crystal lake and have decided the time to transform your health, lose weight, look great, and feel great is now? Congrats, you’re in the right place, and I’m here to tell you everything you need to know to have a successful, lasting fitness and fat loss transformation. The first step in achieving a lasting fitness and fat loss transformation is to check yourself and assess where you’re at. It might be simple for me sitting here saying you should workout everyday (hint: I don’t think you should), but it wouldn’t be realistic if you haven’t stepped foot in a gym for the last 20 years. This is typical of our fitness and fat loss members at Edge, and that’s why it’s so important to establish current baselines. Want to lose 20lbs? 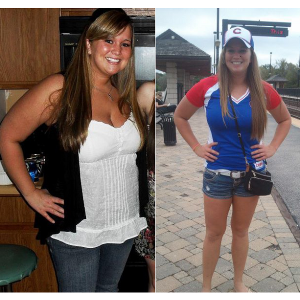 When is the last time you were 20lbs lighter? What did that look like? How did you feel? Assess and think about where you’re at, and what it’s going to take to achieve. You don’t want to think about the last step of your transformation often, but visualizing your next step (not ‘last step’) is important. Often times we find that 20lbs isn’t the real goal at all, but when our client fat loss and fitness client is in front of us, they remember how they felt when they were 20 pounds less. Were you working out more? Did you have more energy? More confidence? And if you said yes to all of those things, was it the 20 pounds of fat, or the different lifestyle you had? What we’ve found at Edge Fitness is that many of our fitness and fat loss transformation clients actually want the feeling they had when they were 20lbs lighter. Because of this, we focus on the process required to lose 20lbs, rather than the 20lbs itself. There is nothing more powerful than a goal, except a goal with a roadmap on how to get there. That’s why at Edge Fitness in Cary, we have all of our members do a comprehensive goal setting meeting in the beginning, as well as several time a year. We need to know where we’re going in order to be successful in a fat loss transformation. So, what is your goal? Do you want to lose 20lbs? How about 50 pounds? Do you want to tone and just feel better, with more energy? Every goal and every person is different, so everyone’s fitness and fat loss path is different. Step 1: Make your Fat Loss and Fitness Goal Real for Real Results that Last. Whatever your goal is, write it down right now on the top of a sheet of paper. Congratulations, you are about to start your own roadmap! Take a look at that goal—how does it feel to have it out in the open? Often times, having a goal in your head isn’t real enough, so we suggest getting that fitness and fat loss transformation goal out in the real world where it can be seen, heard, and felt. Now, take a deep breath, because we’re just warming up. Underneath your goal, write out the following three words across the paper. Now that we have your fat loss or fitness goal written out, it’s important to understand that the process is the only true thing we can control. What if you do everything perfect, and only lose 17lbs? Or you hit your 20lb goal, only to find that 20lb wasn’t the goal, and that you want to lose 30lb? No worries, because we’re going to create a process based goal that ensures success no matter the outcome. What our professional fitness staff know at Edge Fitness is that if we create a process to follow, the end goal tends to take care of itself. At its core, fitness and fat loss transformations are about taking better care of yourself on a day to day basis. If you invest the time in your health daily, you will not only have a better transformation, but the results will be lasting. How many days can you realistically commit to working out 30-50 minutes in an average week? Write that number like this: “Workout 2x each week”. It is far more important to workout consistently that with super high frequency. We start many of our members out on 2-3x/week. Some stay there forever, and other ramp up as they get deeper into their fitness/fat loss journey. A good fitness coaching program meets you where you’re at. Many places sell 30 minute workouts because it works with their schedule and business model. Others tell you large group coaching is best for you because it’s the only thing they offer. The reality is that your journey is your own, and a coaching facility/personal training gym will help you accomplish your goals in a way that meets you where you’re at. You can read more about how to choose the best personal training program here. It is better to workout consistently for a long period of time than it is to workout with crazy high frequency, then burn out. The all or nothing approach will lead to a lot more “nothing” on a yearly basis. For your fitness/fat loss transformation, consistency beats all. Do you do any physical activity outside of structured workouts? I walk my dogs nearly daily. This isn’t working out, but it is incredibly important for my health goals. In the Summer, I play a pickup sport at least twice a week. I also walk and/or bike to work most days, weather permitting. So, what are the other forms of activity you can begin to add daily? Your fitness and fat loss transformation will be much more successful if you can move. Some clients at Edge Fitness use a fitbit, some track their activity on a spreadsheet, and other simply make it part of their daily habit. 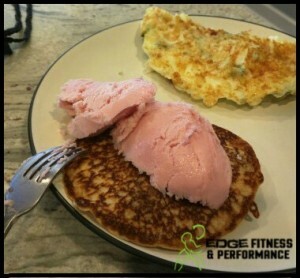 How do you Fuel your Fitness/Fat Loss Transformation? For specific nutrition strategies, how and why they work, you can check out this article. What can you focus on right now? What are some things you do really well, that you should keep doing? What is a major area of improvement/weakness that you know you can improve on right now? How much water do you drink right now? Whats an amount you can commit to next week? How many weeks will it take you to get to 1/2 your bodyweight in ounces? What is ONE meal that you can add a vegetable to each day? Do you have anything that triggers you to drastically overeat that you’d be wiling to eliminate for 4-6 weeks to jumpstart your fat loss and fitness transformation? Here’s the deal—if you’re a normal person with a job, family, friends, workouts, boss, husband, wife, and other “normal” stress, then you need to implement some recovery aspects to your week. The key here is that it doesn’t have to be much. Which, to me, is why so many people fail to actually do it. Here are a series of Recharge strategies you can implement. You don’t have to pick them all, but you should pick at least 2. As you can see, not all of these are conventional, and not every one of them sounds like a recharge for every person, but that’s the beauty of it. Do you already sleep 8.5 hours a night? Then you probably don’t need 30 more each night! Are you lacking any quiet time throughout the day? For your fat loss and fitness transformation, waking up 5 minutes early for a quiet cup of coffee or mobility/stretching might be what you need. The key here is to know what fills your cup up, and do that thing more often. (hint: most of our fat loss and fitness transformation members need more sleep, and more foam rolling). Step 3: Become a Person who has the body and outcome you want by going all in on the process. This is the simplest, and sometimes the most difficult step. Live as if you’re already there. Fit people aren’t fit on accident. Their physical representation of themselves is the result of the psychological work, energy, and effort they have put into their fat loss and fitness transformation. Your move? Act like you’re that person. You might be thinking…wait, how the heck do I do that? Good news! You already know how to. If you were following along, you created a Roadmap with processes and essentially a step-by-step checklist to accomplish your goal. [BONUS] Step 4: Hire a fitness professional. Now, just because you have your steps, does not mean you have to go at this alone. You owe it to yourself to meet with a professional and learn the ins and outs of what it takes to achieve your goal. Fat loss and fitness transformations are tough. Let our team of professional, friendly trainers guide you on your quest towards strong, happy, and healthy. (More on how to do that, here). If you’re not from Cary, Crystal Lake, or McHenry County, stop reading. It’s not that I don’t want you to keep reading these fat loss tips. They just might not apply to you. Okay, maybe they will. Just ignore the tips if they don’t apply to your area. It gets cold and you’re going to move less. This probably means you need to adjust your calories down in the winter, or do more to move more. Between it being dark for most, if not all of the hours you’re home, and the cold, movement goes down. Your play: If you live in McHenry county, you need to exercise more and eat a bit less in the winter. This is tough, but the easiest way is to start with the low hanging fruit. Do you have 300 calorie lattes each day? Lower them to 0-100 calorie coffee drinks instead. If you workout 3 days a week, can you increase it to 4? Parking garage at work heated? Park a bit farther away to get your steps up. Treadmill collecting dust and bathing suits all summer? Awesome! Move your parka aside, and watch an episode of New Girl while walking. Eating local means eating blind. Shed some light on the situation. We have some amazing local dining in Cary. Like, sometimes i’m blown away that we get such great options minutes from the gym. But, with those opportunities come extra calories that we simply can’t account for. Even places with ironclad nationwide systems aren’t consistent, so we can’t expect local places to be. Here’s 3 ways to go out and now blow it. Decide if the food is worth it at that time. Sometimes it will be, sometimes it won’t. Don’t trick yourself. A salad with dressing, blue cheese, bacon, eggs, walnuts, and avocado isn’t a healthier option than a burger where fat loss is concerned. Sure, it’s got more variety and micronutrients, but it’s also got the same calories as a Tracks burger. Me personally? Give me that burger over a salad like that. Skip the sides. Or get an actual salad with a fat free dressing as your side. You can still enjoy the meal (which will probably we 1000+ calories) but skipping the sides will help cut some unneeded calories. FOUR? Yeah, I couldn’t keep it to three. Go out for drinks, or go out to eat, but try not to do both at the same time. Note* Yeah I know these won’t work all the time. That’s not the point. There’ll be times when you blow it, but if there are more times where you stick to your plan, you’ll lose weight and experience the fat loss transformation you want. The Hollows in Cary,IL: The Hollows is a great place to kayak or hike. If you live in Cary, you live 5 minutes from beautiful trail running/walking, scenery, and wildlife. Lippold Park in Crystal Lake, IL: Lippold park has a ton to offer. Baseball, Soccer, Skateboarding, running trails, and, my personal favorite, Frisbee Golf. If you can throw a Frisbee and walk, you can play Frisbee golf. It’s a low barrier to enter (read: cheap and easy to get started) game, fun for all ages. Moraine Hills in McHenry, IL: Moraine hills is perfect for biking, hiking, running, trail running, fishing, kayaking, and more. This is a vast area of virtually untouched nature just minutes from where you live. Make a day of (or half day, or hour, whatever) and go play outside. 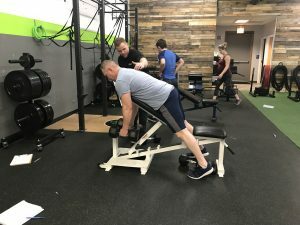 Do you have a suggestion on how to continue your fitness and fat loss transformation in Cary or McHenry county? What’s your favorite place to get outside and enjoy outdoor movement? Drop a comment and let us know! The largest number of McHenry County’s Conservation sites are located in or bordering Cary—Frisbee golf at Fel-Pro, walking trails at all the sites, many groomed for winter skiing or snowshoeing..Hickory Nut Grove, Silver Creek, Lyons Prairie Marsh, Fel-Pro, Fel-Pro West, Fox Bluff sites are all in or near Cary. 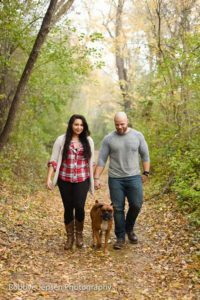 I use the trails year round, (some are even paved) mainly hiking, and cross country skiing and they are also great dog walking locations. Peaceful, well maintained, patrolled and fresh air abounds. They offer a Hiking club for hikers that is great fun, commradrie, and trail/nature/wildlife learnings while hiking. All easy to do, nearby, and free and a great way to compliment any workouts you are doing.